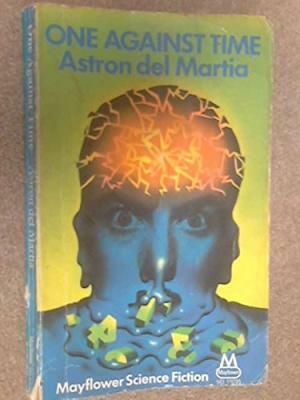 I must have read scifi book sometime in the early 80's, and from memory I'm guessing the book I'm looking for was written in the 60's or 70's. From what I can remember, the plot was about a brain implant which, of course, grants superhuman mental abilities, being stolen by one of the protagonists. He/she then travels back in time with the implant to avoid capture and punishment by the authorities, and hides it by transplanting it into the brain of a new born baby or child (I cant remember which), where it is intended to be retrieved later. The implant is not retrieved and the child grows up with world changing mental powers, (I remember him being able to rearrange his molecular structure and being able to walk through walls among other things), until the end of the book where the thief returns to retrieve the implant and a battle ensues. 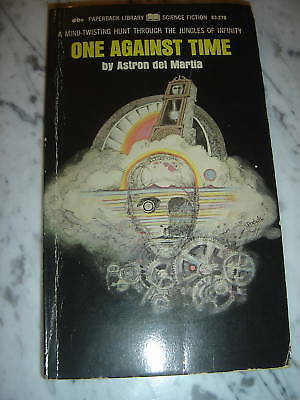 I'm pretty sure the book you're looking for is One Against Time by Astron del Martia. You have the researcher; Bannister, who has stolen the implant and travels back in time, to put it in the brain of an infant; Harold Newman. The implant is the combination of brain tissue of someone from a thousand years in the future and an experimental "super brain X," The future brain allows telepathy, the experimental part allows control of the individual atoms and he's able to walk through a wall. A side effect of the implant was blinding headaches as each part of the implant began to integrate. However in the book, Bannister doen't return for the implant, but a security team from the future captures Harold and wants to lobotomize the implant. Responding to the linked question; Harold is a bank teller,has trouble with numbers, his sense of aesthetics is heightened and the woman of current time look coarse. The twist with the female, he's becomes attracted to, is that, she's part of the security team from the future. Book about a boy and future earth?